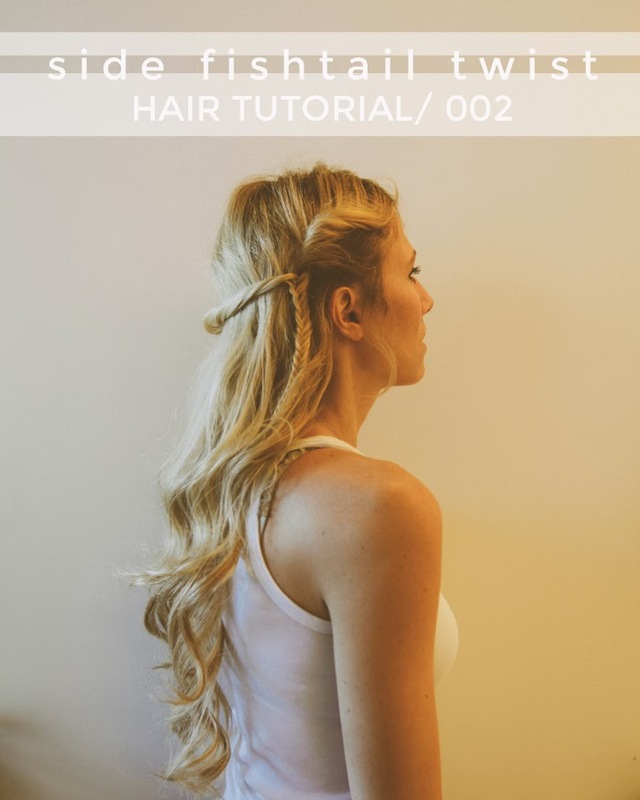 I am so excited to have another hair tutorial today! This one will actually be "step 2" after last week's tutorial. So, if you missed it...you will want to do these steps first, then head over and begin at step one below! 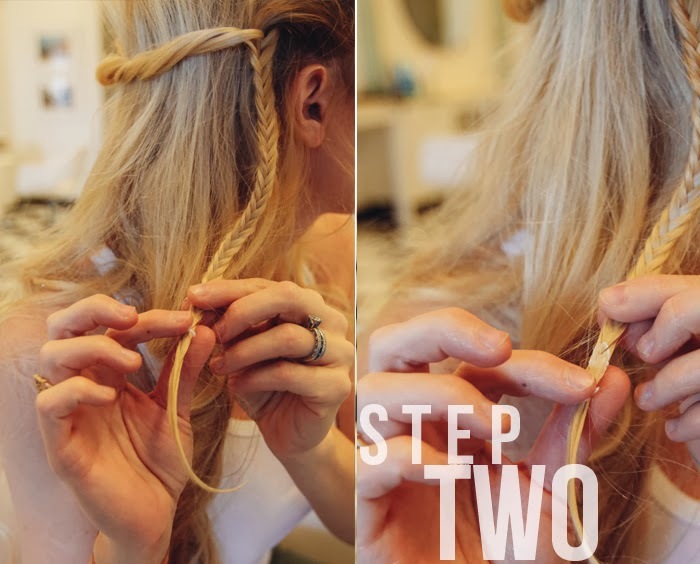 Grab two small sections of hair and begin twisting them. 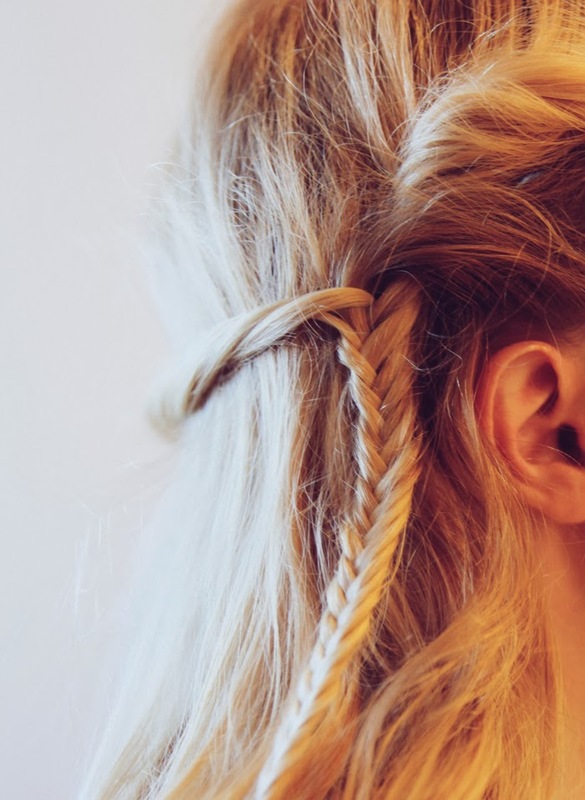 Pull the twists around so that you can begin your fishtail braid on one side behind your ear. 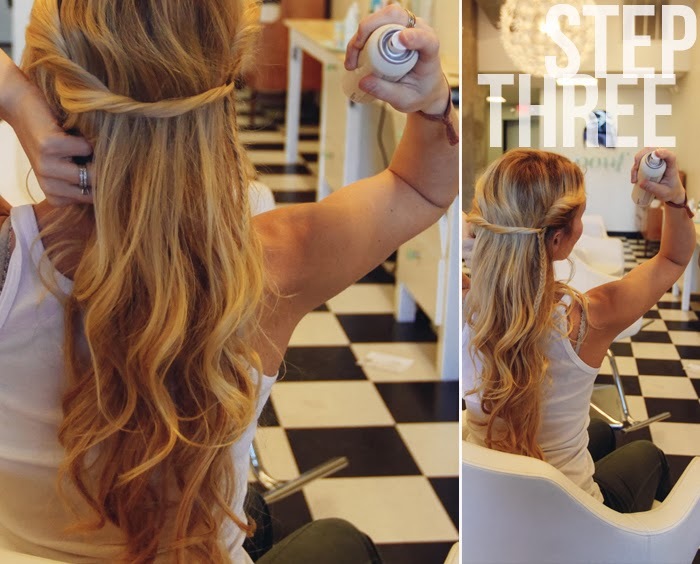 Take a small piece of hair from the back of one strand & pull it over to the front of the second strand. Then take a small piece from the back of the second strand and pull it over to the front of the first strand. 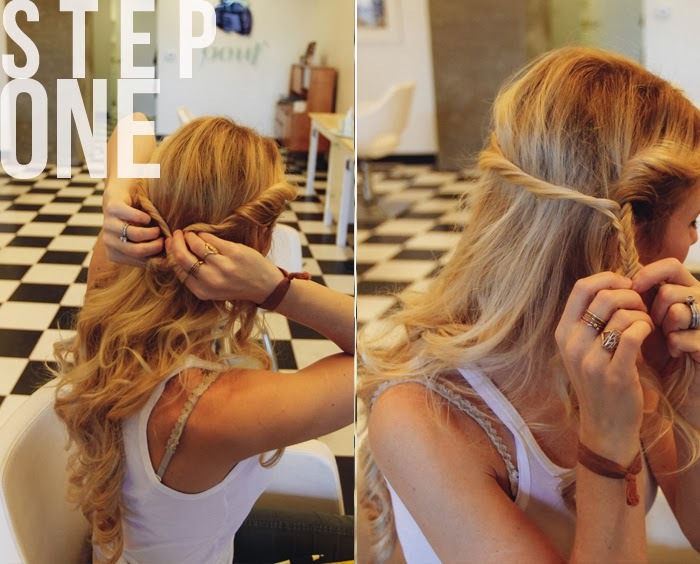 Repeat steps until braid is finished. 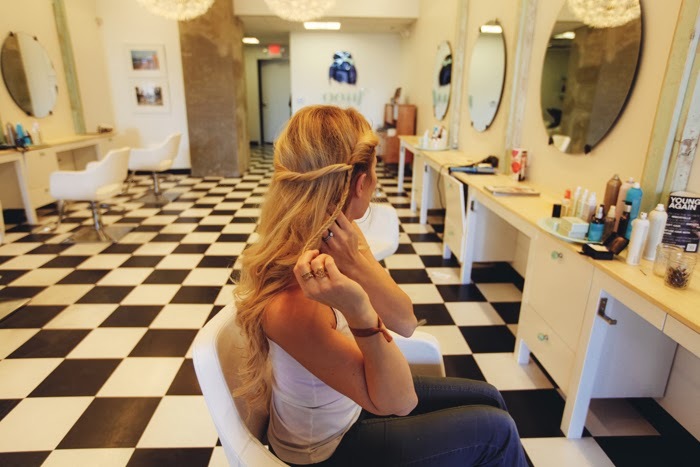 Either secure with an elastic or you can use a product called Night.Rider instead of a hair band to finish off the braid. 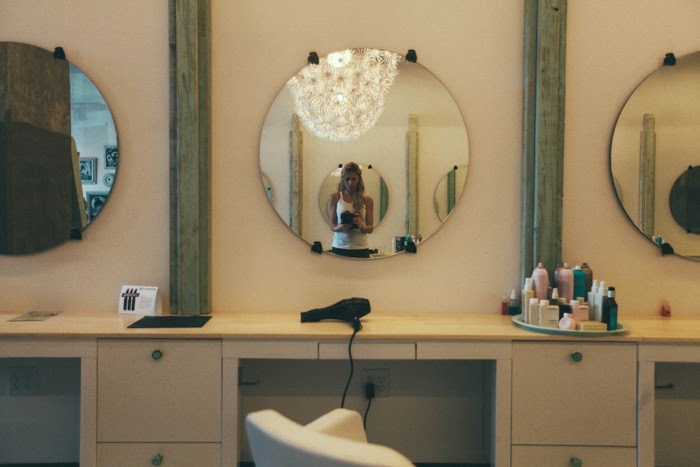 Spray with Hair Resort Beach Spray to give it a bit of a messy look!